Maybe you’ve spent too many nights in a row binge-watching Netflix, or maybe family is coming to town and you need ideas for entertaining everyone. 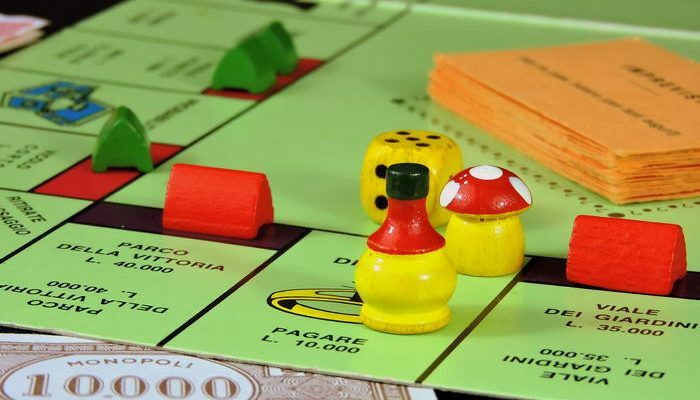 Whatever the reason, tonight is a great night to break out the board games! The classics like Clue, Taboo and Scattergories will always be crowd pleasers, but don’t miss these newer games! 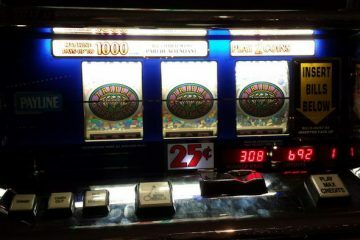 Grab your party people and get playing. Like Mofia, but infinitely better. With over 40 unique role cards, up to 75 people can play and contribute based on their character’s special abilities. 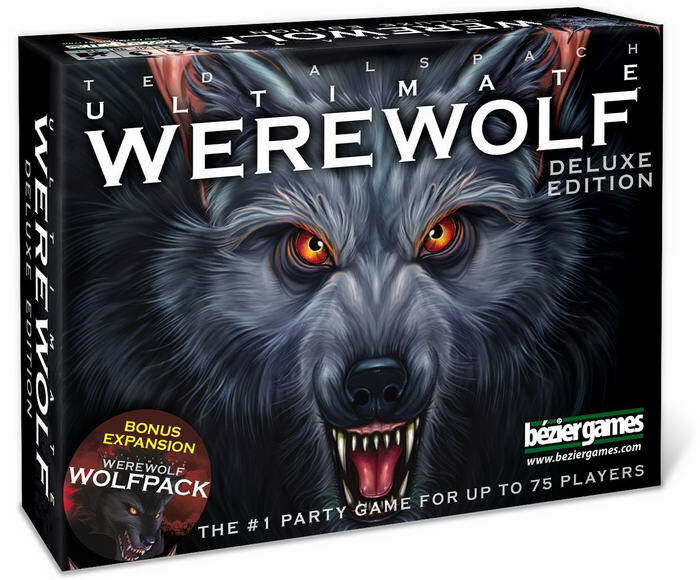 Werewolves are pit against villagers, but identifying the nightly murderers will be challenging when the Diseased, Lycan, Wolf Cub or Cursed roles are thrown into the game. Ultimate Werewolf is even better if you find a perfectly creepy Spotify playlist and enlist your most dramatic friend to be the Moderator. 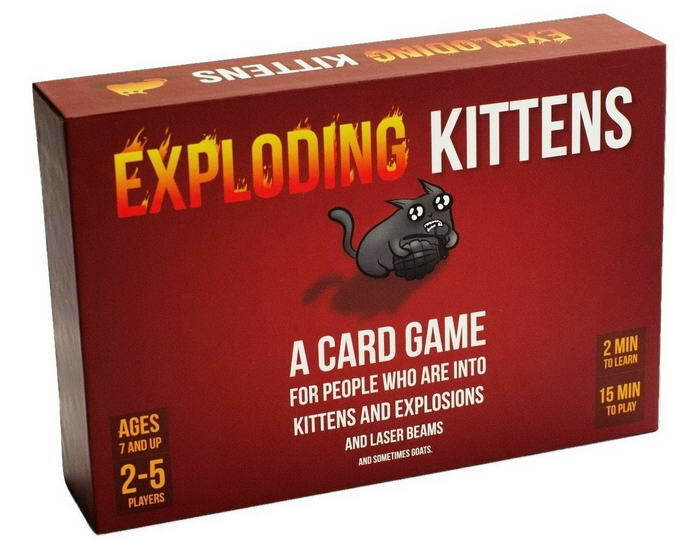 This roulette-style card game features murderous kittens, defusing catnip sandwiches, and Tacocats. 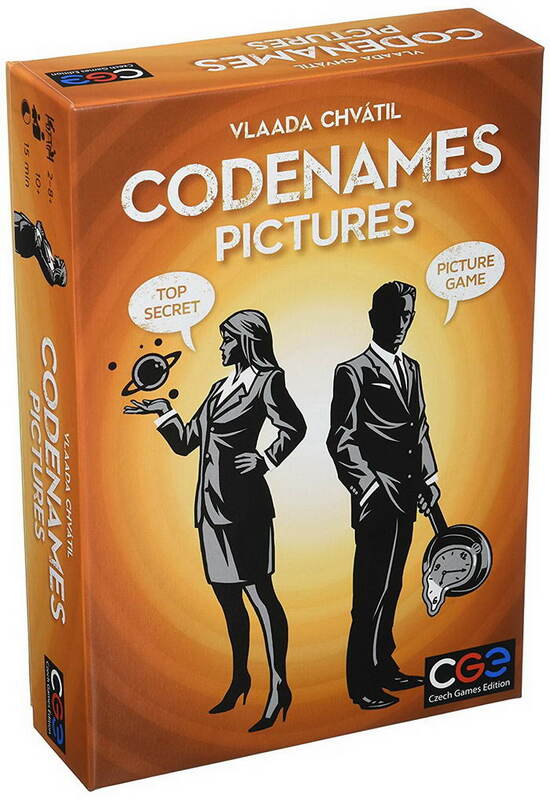 This game is easy to learn and the creative artwork by The Oatmeal will certainly entertain. Try not to be the first one to blow-up! This award-winning board game allows players to strategically place trains along routes while racing to reach high-trafficked locations. 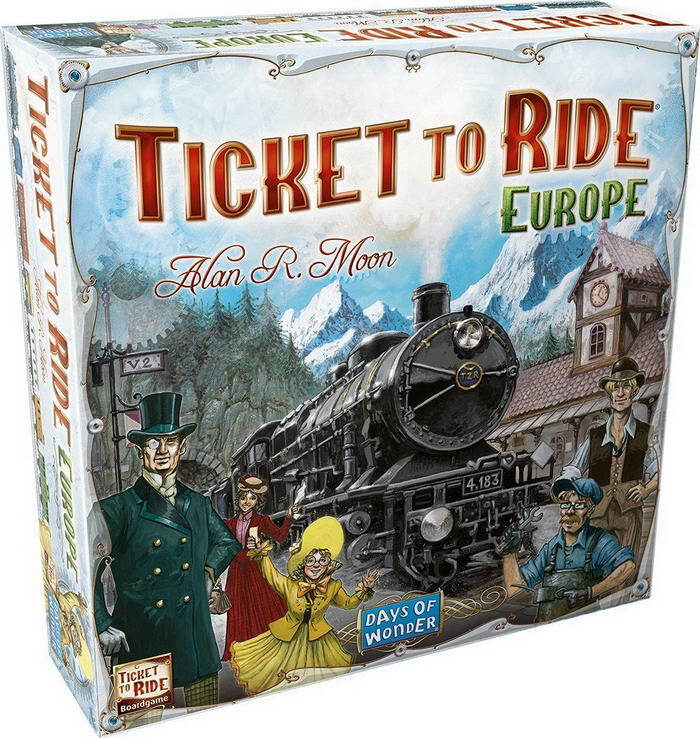 Players earn points for longer trains and for completing more routes. Test your geographical skills with the expansion boards which include maps of Europe, Asia, India, Nordic Countries, the United Kingdom and Africa. Pictures are worth a thousand words and this game features 84 beautifully illustrated pictures on over-sized cards. On your turn, your goal is to use a vaguely descriptive phrase to lead other players to choose your card. Every other player also chooses a card from their hand that may fit your description and earns points if their card is selected. 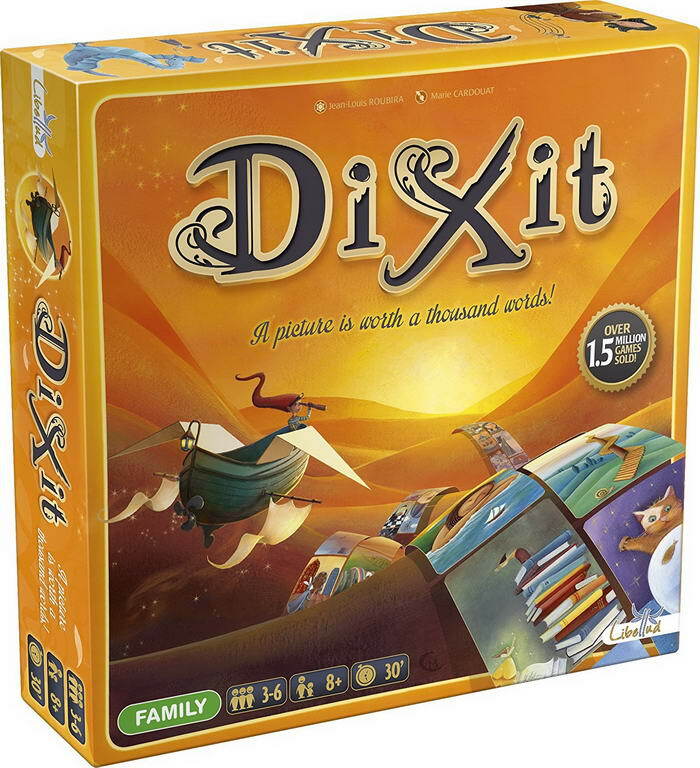 Dixit is perfect for the casual gamer who is intimated by complicated score sheets and jaded by competitive squalls. The goal: dominate. Dig more mines, cast more spells and build more markets to make more points than the competing monarchs. This quick, tactical game has over 250 cards so each time you play you can try a new scenario. 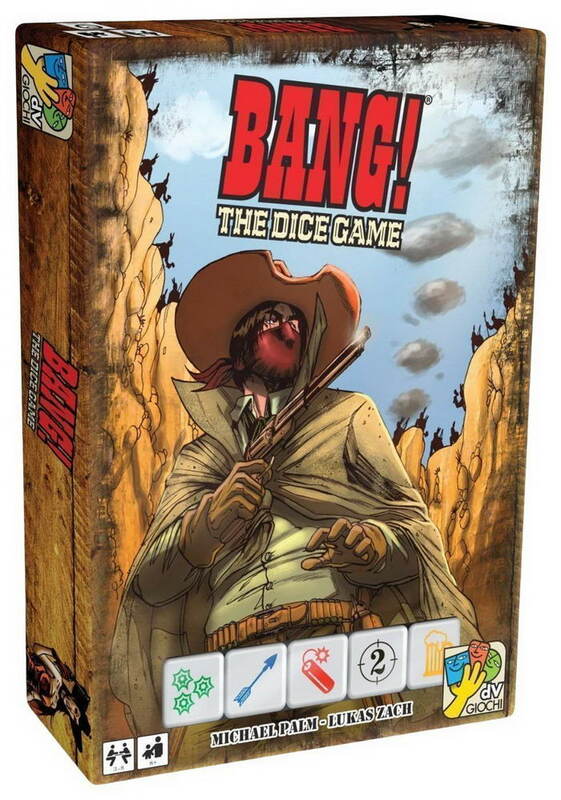 Bang all your friends and rule the Wild West in this dice game. Everyone is assigned a secret role card and a public character card. Depending on your role, you are trying to keep the sheriff alive (Deputies and Sheriff), kill the sheriff (Outlaws) or be the lone survivor (Renegade). Identify other players’ roles and use scoped guns to target your enemies while avoiding both the Indians’ arrows and dynamite explosions. This version is faster, simpler and easier to learn than the previous Bang! card game. 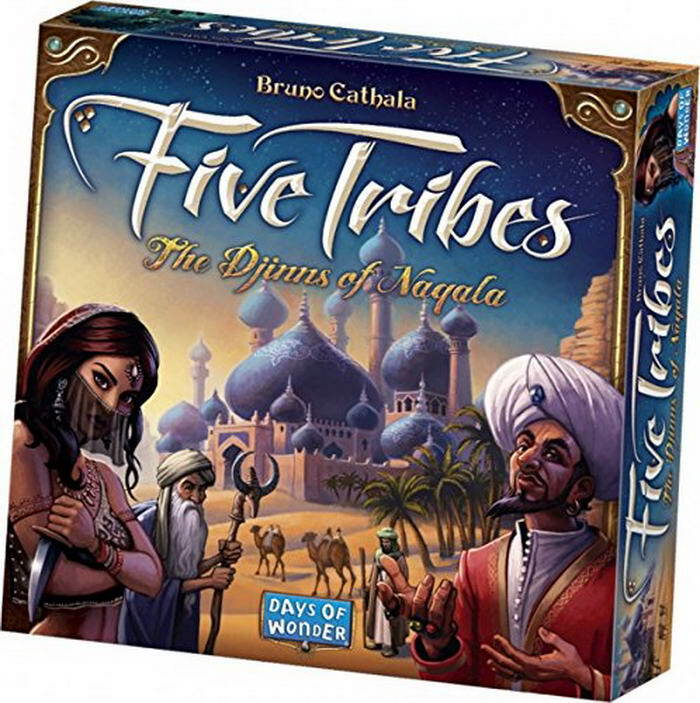 In order to fulfill the prophecy and control the land of Naqala, you must navigate the five tribes. Five Tribes isn’t for the “I just came for the beer” player. 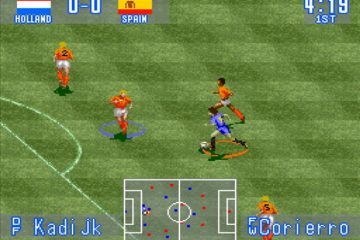 This is a gamers’ game with medium difficulty and involves developing a calculated strategy. 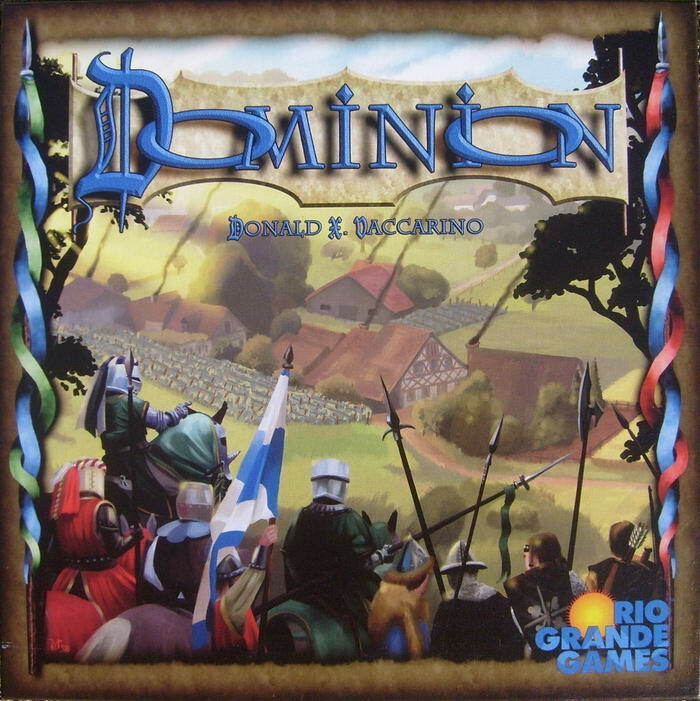 It bears slight resemblance to Mancala and players earn points as they move Assassins, Elders, Builders, Merchants and Viziers across the board. Welcome to New York, it’s been waiting for you. . . 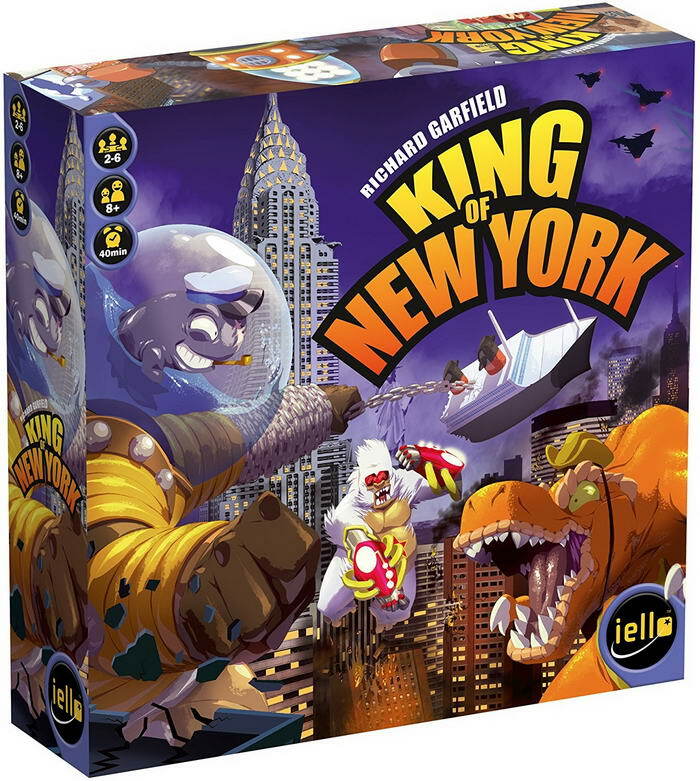 In this dice and card game, monsters are competing to rule the Big Apple. Use special cards to become more powerful, earn victory points for controlling Manhattan, destroy other monsters and keep your villainous beast healthy. Using codenames, race against the opposing team to find your secret agents while avoiding the assassin. 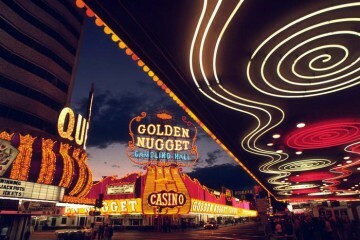 In this word-association game each clue is precious and may have multiple definitions, so use your one-word code well! In a competitive ecosystem of ravenous carnivores and limited food sources, you must modify your species to survive. 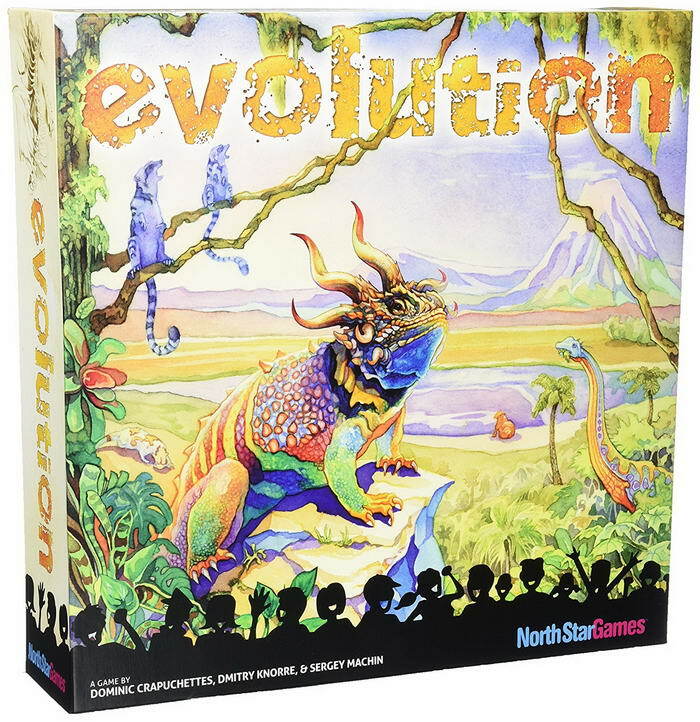 Use trait cards to enable your prehistoric creatures to climb away from insatiable bullies, collaborate with other species or rise to the top of the food chain.